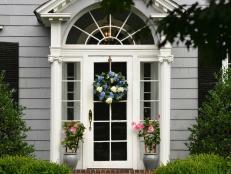 Double entry doors can give a home a grand appeal. 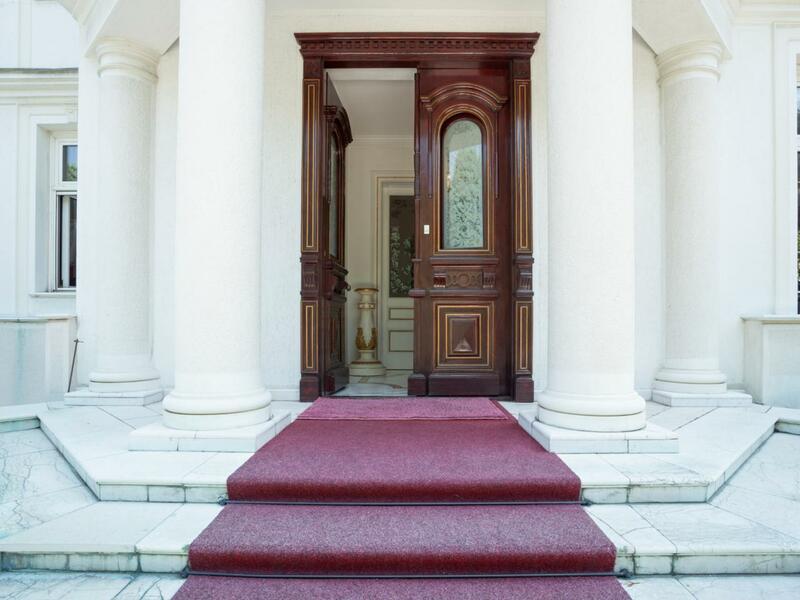 Whether they are installed at a modern, traditional, rustic or any other style home, their very presence seems to signal a warm, hospitable welcoming — and it’s almost certain you’ll find a comfortable entry to converse with friends or family once pass through them. 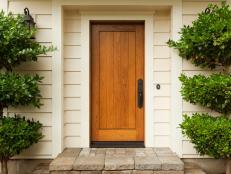 As you may expect double doors come in a variety of styles and materials — much like single entry doors. You’ll find selections in wood, fiberglass, and metal, all of which have unique benefits and considerations of their own. As for designs, many people automatically think traditional when double entry doors come to mind, however there are an equal number of options in rustic, transitional and contemporary styles, all of which can add character to your home’s entrance. You also want to consider the amount of light you would like to allow into your home. 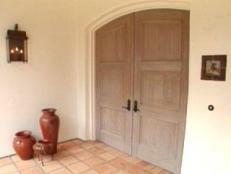 For example, if one full-glass door lets in an abundance of light, consider how bright it may be with two. When choosing a style know that many glass doors offer built-in blinds to help control this light. This is just one of the considerations you may want to make. 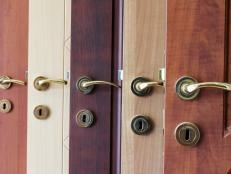 As with any exterior door, purchasing and installing the proper size is one of the biggest necessities. If the door does not have a proper fit you run the risk of allowing air to enter or escape from your home, which could add up to higher energy bills in the long run. With double doors this is an even bigger concern since they need to be secure to one another in the center. Purchasing a set with a three-point locking system (top, bottom and center) can also help to ensure that the doors stay properly and securely closed. Thanks to the generous frame opening, double entry doors come in handy when you need to move large pieces of furniture or other items in and out of your home. They can also provide balance for large exteriors that feature a number of windows or an expansive façade. What’s more, glass double entry doors can offer tons of natural light and a sweeping view. 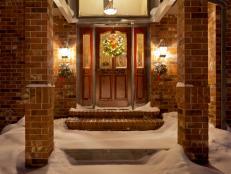 However, it’s important to consider that your home could perhaps be doubly perceptible to the elements outside. 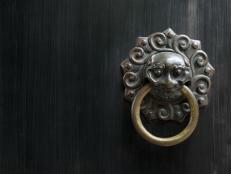 Also note that double entry doors may be more easily comprised due to their center locking nature. If you choose glass entry doors, you’ll also want to consider a window covering or built-ins blinds that can protect your privacy and help to control the amount of light that enters your house. 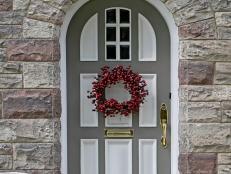 Learn the basics about installing a new front door or replacing an old one before you decide whether to tackle the job yourself or hire a pro. 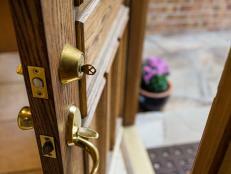 Planning to replace your front door? 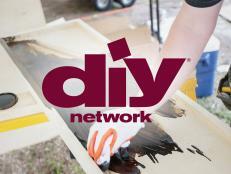 Weigh the pros and cons of fiberglass, steel and wood before making your purchase.